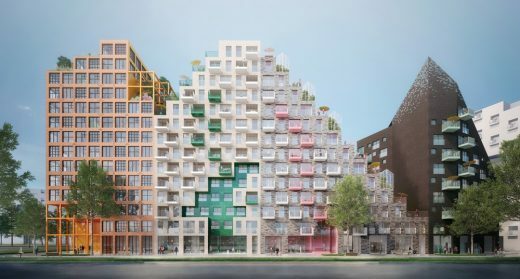 Hyde Park Residence – 400 homes are divided into nine buildings that make up “thematic” houses, and are organized around a landscaped island core. Paris, France (Sep 6, 2017) – Manuelle Gautrand is honoured this year’s Europe’s Highest Award for Architecture by The European Centre for Architecture Art Design and Urban Studies and The Chicago Athenaeum: Museum of Architecture and Design. Manuelle Gautrand is presented with Europe’s Highest Award for Architecture by The European Centre for Architecture Art Design and Urban Studies and The Chicago Athenaeum: Museum of Architecture and Design at a Gala Dinner Award Ceremony at the foot of the Acropolis in Athens, Greece on September 8. In 2011, the Gaumont-Pathé group decided to renovate the existing building in order to upgrade the cinemas and to improve user comfort. This was part of a broader scheme to gradually update the image of their chain of cinemas, which often occupy exceptional, city-centre sites, but suffered from being seen as old-fashioned. 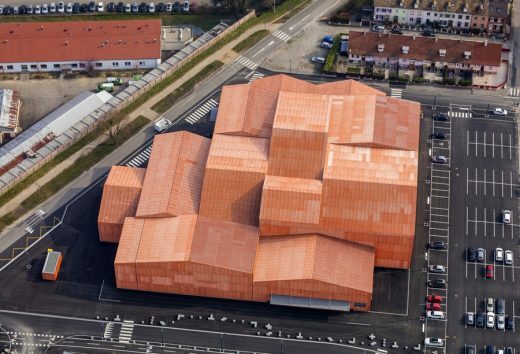 Located in Saint-Louis (Alsace, France) in the “Three Borders” region and in the inner suburb of Basel, the “Forum” dedicated to replace the old “Palais des fêtes” of the town, is a cultural facility designed to host associative, sporting and cultural events. 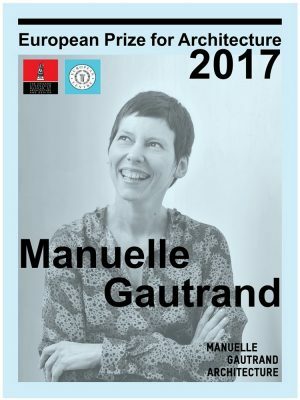 Important figure of the French architectural landscape, Manuelle Gautrand created her agency Manuelle Gautrand Architecture in 1991, twenty years ago. To mark this anniversary, the book Those I Have (Already) Built retraces the career of the architect from her early achievements to today. At the confluence of past and future, here is the new Gaîté lyrique This historic place, which echoed with the sounds of so many familiar melodies that are part of our common cultural landscape, is re-opening to a new life, one dedicated to digital culture. The idea is to develop a long built ‘continuum’ on the site to interact with adjacent streets. A linear construction that rears up and unfolds but also hugs the ground line to form a low accessible building – one that opens spacious courts and lifts bold overhangs. The automobile manufacturer Citroën wanted their new communication centre on the Champs-Elysées to be really ambitious. 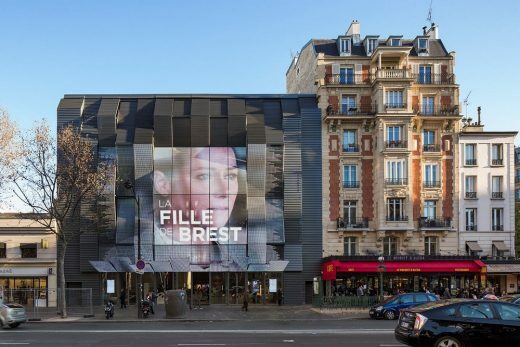 The programme for this job was to restructure and extend the Musée d’Art Moderne of Lille, which stands in a magnificent park at Villeneuve d’Ascq. Designed by Roland Simounet and inaugurated in 1983, the existing buildings have already acquired historic landmark status. 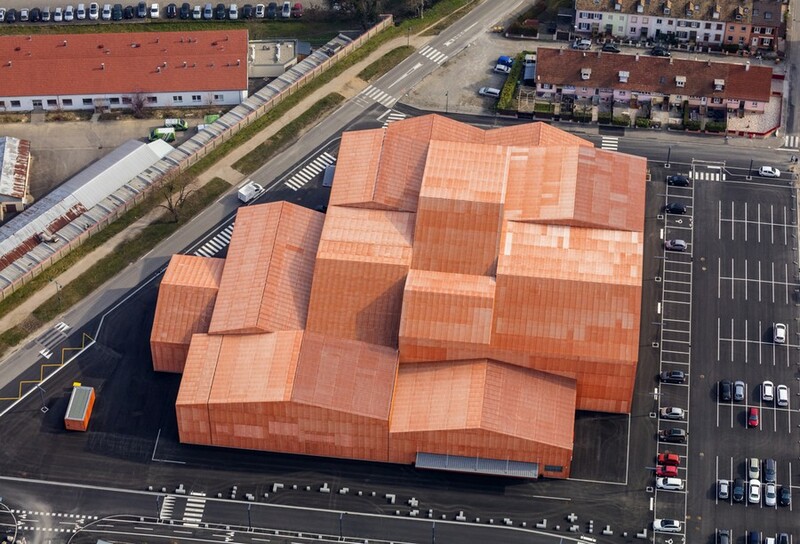 Manuelle Gautrand Architecture is a Parisian architecture studio established in 1991. January 17, 2019 in Architects.